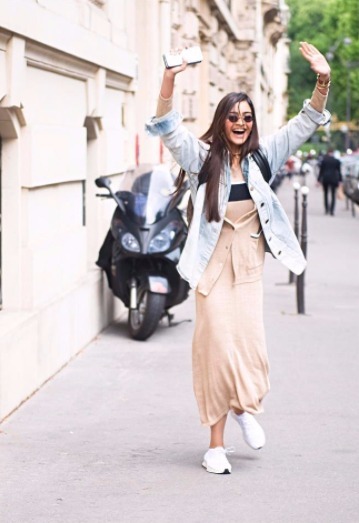 10 Style Secrets You Can Steal From Sonam Kapoor! Bold, beautiful and a risk-taker, Sonam Kapoor is undoubtedly the reigning queen of fashion in India. An idol for every Indian girl who loves fashion, she never fails to turn heads with her statement style and bold sartorial choices. So girls, get ready to take down some notes as we bring to you some amazing style secrets by Sonam Kapoor herself! 1. Do not follow the trends blindly! Sonam Kapoor does not believe in following the trends blindly. Instead, she chooses to dress according to her mood and the occasion. According to her, your style should totally represent what you really are and it should totally be your own! 2. Don’t think TOO much before buying something! Love that dress you saw at the Forever 21 store but didn’t buy it? Well you should, as according to Sonam Kapoor, you shouldn’t overthink while shopping. If you like something and it fits in your budget, you must buy it quickly, without thinking too much! 3. A well-fitted black dress and red lips never fail! Sonam Kapoor never underestimates the power of a well-fitted black dress and a red pout and so shouldn’t you! Be it a work meeting or a social event, this duo will never fail you! You can get away with anything in a great black dress! 4. Traditional jewellery for that extra oomph! We couldn’t stop drooling when Sonam Kapoor sported those gorgeous ethnic jhumkas with a Ralph & Russo gown at the 2016 Amfar. She loves her ethnic jewellery more than anything else and wears it with everything - be it with a saree or a dress. You should try this too! 5. 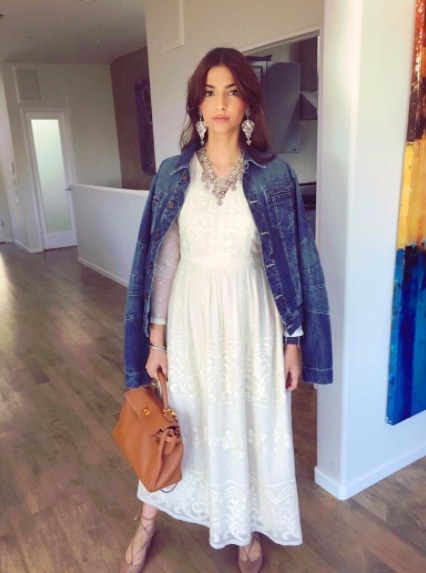 Stick to the traditional styles when wearing Indian Wear! 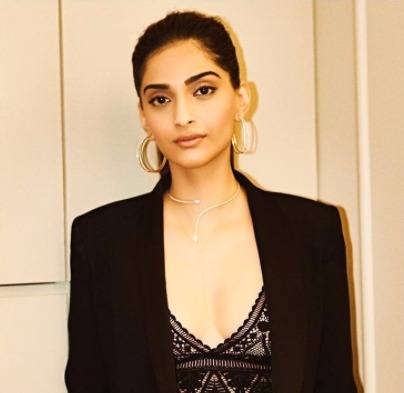 Contrary to her image of constantly breaking the style rules and experimenting with different looks, Sonam advices to stick to traditional designs, fabrics and colours when wearing Indian wear. And yes, we couldn’t agree more! Go desi, girls! 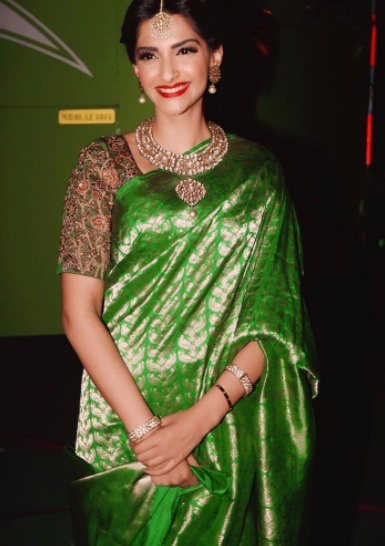 Sonam Kapoor is known to love her classics and so should you! A great summer floral dress or a crisp white shirt can save the day whenever you are stuck in a fashion rut. So, investing in classics is key! For days when you are not feeling your best, a simple maxi dress can prove to be a great saviour. Yes ladies, we are not the ones talking, it’s Sonam Kapoor herself. 8. Don’t forget your makeup! One of the most important things that make Sonam Kapoor such a celebrated name in fashion is her eye for detail. She makes sure that her hair and makeup are done to complement her outfit perfectly. So ladies, don’t ever let your hair and makeup take a backseat. It can really make all the difference. You will often spot Sonam Kapoor sporting hoops for a simple reason - they look super chic! She loves them and so do we! Try pairing them with any of your casual (or even formal outfits) and see them cast their magic. 10. Stay comfortable, stay stylish! Sonam Kapoor, when choosing an outfit for an event, makes sure that she can walk and sit comfortably in it. You should totally do the same! Before choosing an outfit, you must always try it on. Give it a heads up only if you can sit and walk around in it comfortably.